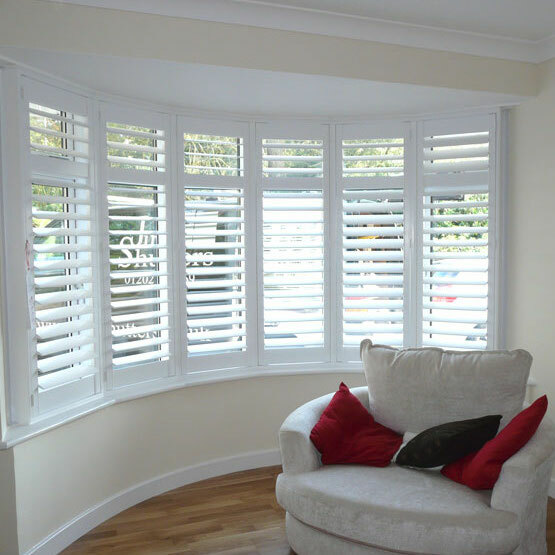 Window Shutters Farnham by Just Shutters – your local shutter specialists. Just Shutters are delighted to offer the finest plantation shutters at fantastic prices in Farnham and the surrounding areas; call us on 01962 670157. Rob Wardle (pictured left) is your local shutter expert. Our specialist knowledge along with the largest range of materials and finishes mean we can create any look to fit any style. Rob’s first job is to listen to your ideas and advise you of the solutions we offer, creating shutters you will love for years to come. Whether you crave the modern, are looking for a bold statement, or are a fan of the traditional, we have the perfect match for you. Our customers are our number one priority, which is why we have grown from our family business roots and organically expanded across the UK. Over the years local experts have been coming on board, as our unbeatable service, value and reputation has spread. 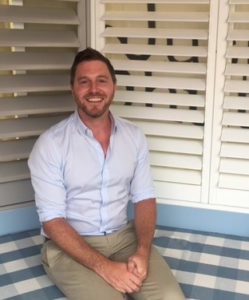 Rob has an eye for design and passion for perfection, he is the specialist who really can create your dream shutters. Plantation shutters are beautiful internal window coverings which can be known as colonial shutters or shutter blinds. Shutters are superior to most other options such as curtains or blinds. Not only in looks, but also in terms of practicality and long lasting value, which is why our shutters are lifetime guaranteed. -Bespoke design – made to measure every time. -And we can’t forget they are a simply beautiful…. Call Just Shutters on 01962 670157. Alternatively, follow the buttons below and we will be delighted to help you further. We are very proud of our overall unsurpassed reputation. But instead of boasting we would prefer to show you what our customers have to say! So please find over 1800 more on Checkatrade. We hope to welcome you among our happy customers. Installation of 2 sets of window shutters Farnham. Shutters fitted to 2 x bedroom windows and also bay window.